I’ve found people have a love/hate relationship with Fernet, much like some of us have with Valentine’s Day. Personally, I had a strong aversion to it until little by little I fell in love with it. Fernet is coy. The intense dark liquid captures the eye with hints of gold that lure you in. A first sip hits your palate with its intense bitterness seemingly to push you away but then there’s an enticing aroma captivating your senses that lures you back. A second sip reveals herbal spiciness. Bitter, spicy but yet still there’s something you can’t quite put your finger on and so you’re drawn in for a third sip… and you’re done. Sucked in and under the Fernet spell. No wonder the exact recipe is a closely guarded secret. 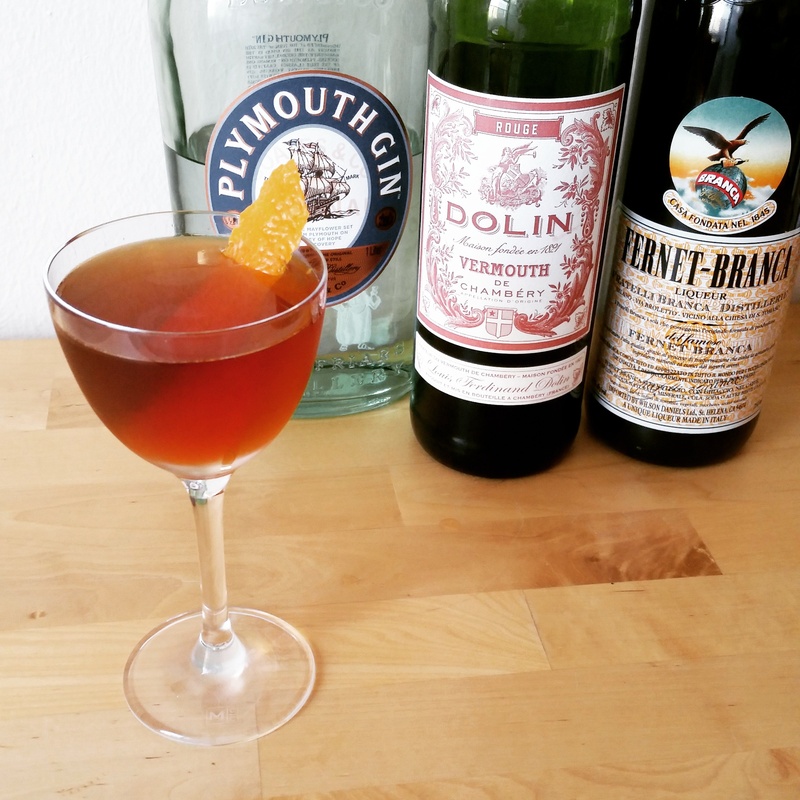 So this Valentine’s Day let yourself be seduced with this Fernet cocktail and may your night be filled with lots of Hanky Panky… whether you’re alone or with your lover, be they liquid or human. Cheers! Combine in an ice-filled cocktail shaker. Twist orange peel over surface of drink.